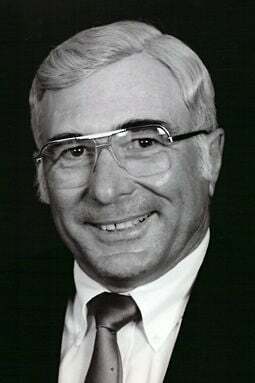 Elden Duane Wesely was born to Adolf and Agnes (Ondracek) Wesely on June 12, 1932, and passed away on Feb. 1, 2019. Elden was raised on his parents’ farm south of Cedar Bluffs, Nebraska, and graduated from Cedar Bluffs High School. He attended the University of Nebraska and became a member of FarmHouse Fraternity. While at the University Elden met and fell in love with the woman he would marry – Connie Von Essen. After graduating in 1954 with an Ag degree, he enlisted in the Army as a Second Lieutenant. Elden achieved the officer rank of First Lieutenant before receiving an honorable discharge in 1956. In 1958, Elden and Connie moved to Benedict, Nebraska, and began farming east of Benedict. In 1964, Elden and Connie moved to Oakland, Nebraska, purchasing the farm Connie grew up on from Connie’s parents. Elden ran a successful farming business on the family farm. In 2004, they retired to a house in Oakland, Nebraska. Elden is survived by his wife of 63 years, Connie Wesely. He was predeceased by his brother, Marvin Wesely, and his sister, MaryAnn Hawkins. He is survived by his children and grandchildren, Nathan (Lisa) Wesely, parents of Sarah, Kate, John, and Adam, David (Laurie) Wesely, parents of Anya and Lauren, Annette (John) Shaughnessy, parents of Kara and John, and Mia (Aram) Montgomery. The funeral service is Saturday, Feb. 9, at 10 a.m. at St. Paul’s Lutheran Church in Uehling. Visitation is Friday, 6-8 p.m., with family receiving friends at Pelan Funeral Services in Oakland. Visitation will also be held one hour prior to service at the church. Burial will be in Oakland Cemetery, Oakland. In lieu of flowers, a donation to St. Paul’s Lutheran Church or the Parkinson’s Foundation would be appreciated.